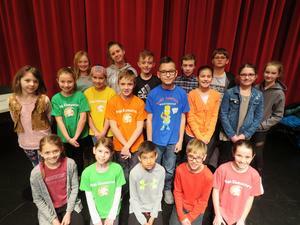 Fairness was the character trait discussed at the recent Page Elementary assembly. 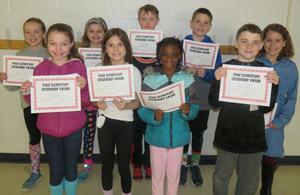 In addition to a panel of student leaders, each class nominated and voted for one person to receive the fairness award. 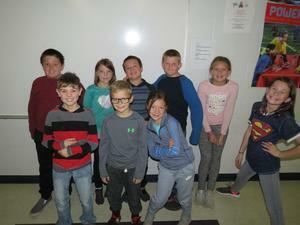 Their classmates receiving the honor were fair and open to inviting others into groups and recess events. The fairness winners were surprised when their parents walked in just as they were receiving their awards. They hear about the dangers in television advertisements. They've heard warnings from adults. But still, young people are curious about smoking and tobacco use. A group of Thornapple Kellogg High School students hopes their connection to their younger peers helps get their message across. 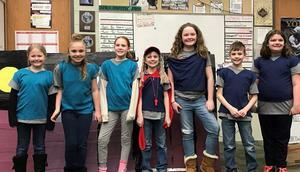 The high school students are part of a group called Teens Against Tobacco Use (TATU) and their goal is to mentor younger students about the dangers of tobacco use. 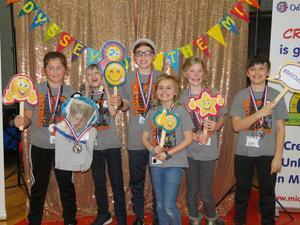 Three Odyssey of the Mind teams from Page Elementary School will advance to the State Finals March 16 hosted at TK Schools. 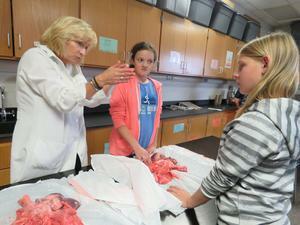 This year, the TK district sent 13 teams to the regional competition with 11 eligible to advance. Of those eligible, 10 teams are advancing. 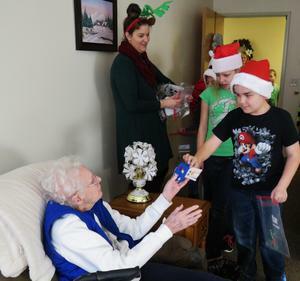 Wearing a bright red Santa hat and his biggest smile, Brody Biermaker offered a handmade ornament to Carveth Village resident Dorothy Barlow. "It's for you. You can keep it," he said proudly. With the upcoming holiday season, Page students are being reminded to think about the character traits of gratitude for all they have and respect for others who may face difficult or stressful times during the holidays or who may celebrate in different ways. Page Students Encouraged to "Choose to be Awesome!" Page students are encouraged every day to make good choices. "Choose to be awesome!" said school counselor Mary Holwerda. "Choose to make every day awesome and to help others around you feel awesome!"